Prior to the conference (20 – 28 October) will be Melbourne International Games Week. Attendees to CHI Play may like to attend events on offer, please see the full schedule and register your attendance. CHI Play will provide a free public games exhibition as a part of MIGW. The exhibition will be hosted at ACMI The Cube with the following authors exhibiting their work: Christy Dena, Oliver Bown, Jan Thar, Daniel Finnegan, Kathy Smart, Thammathip Piumsomboon, Joseph La Delfa, Michael Long, Juuso Toikka, Assem Kroma, Mihajlo Mnenad, Lassheikki Christina, Kurra Harshitha, Eshita Arza, Andrey Krekhov, Dmitry Alexandrovsky, Michael Lankes, Jungpil Yoon, Betty Sargeant, John Harris, Michael Trotter and Dylan Poulus. CHI Play 2018 will be providing a PAX Aus Panel on Saturday 27th of October from 12.30pm – 1.30pm: “Games, Interactions and Interfaces: What the Latest Research Says”. CHI Play speakers on the panel include: Julian Frommel, Fraser John Allison, Zhuying Li, and Alex Baldwin. PAX Aus is outside of the official CHI Play conference. A ticket for PAX Aus is required to attend this session. Christopher J. Ferguson is a professor of psychology at Stetson University. 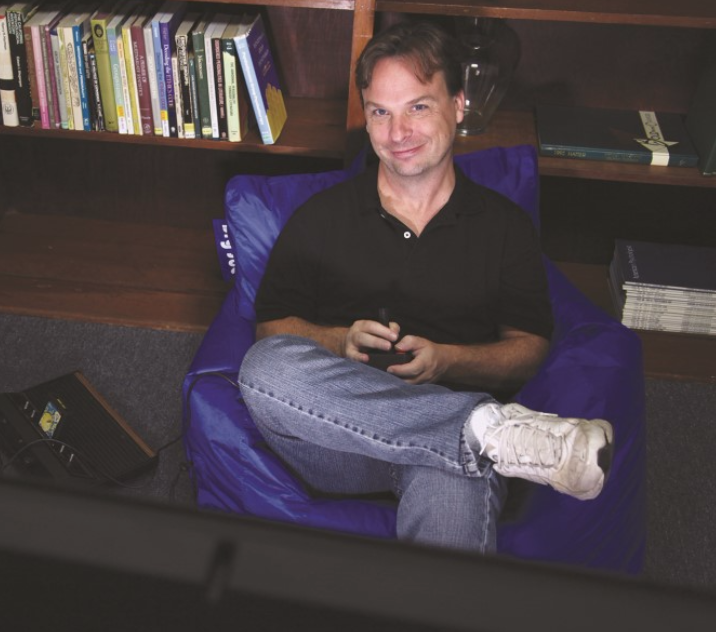 He is a fellow of the American Psychological Association and has conducted dozens of studies on the behavioral impacts of video games across multiple realms including violence, addiction, sexism and body image. He has coauthored the book Moral Combat: Why the War on Violent Video Games is Wrong. He lives in Orlando with his wife and son. For the past few decades video games have been the focus of widespread concerns regarding violence, addiction and sexist content. In the United States, video games are blamed for high gun violence rates. The World Health Organization (WHO) has claimed that excessive gaming is tantamount to a disease. Activists worldwide express concerns that the sexist content of some games may lead to sexism and misogyny in real life. But is there good research evidence to support these claims?Lessons learned from the “video game violence” research era are instrumental. The term “violent video game” never held conceptual, scientific value, yet was used as an emotional loadstone. This resulted in overstatements of evidence by politicians, scholars and professional guilds such as the American Psychological Association. In some cases, hyperbole continued despite mounting evidence that action-oriented games are associated with, if anything, declining trends in violence and evidence for even effects on mild aggression remained inconsistent. Nonetheless repetitions of this trend continued with discussions of “sexist” games and their impact on sexism in real life as well as the controversy over the WHO’s “gaming disorder.” In both cases activists for particular positions which appear to disparage games pushed forward aggressively despite the presence of evidence that might have advised a more cautious approach. It is time for a reassessment of games research and how a societal culture of moral panic impacted games research over the past few decades. However, these cultural issues can be repaired first by understanding the historical patterns of moral panic that scholars contributed to and second by embracing a culture of open science. 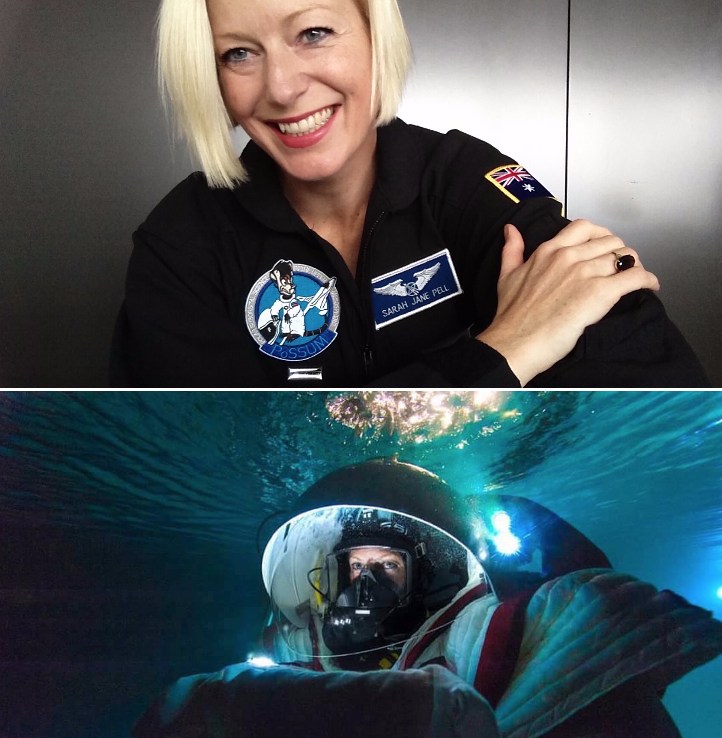 Artist Dr. Sarah Jane Pell is uniquely positioned as a commer-cial spaceflight candidate, spacesuit validation test pilot, andspace VR designer. She expands her expertise as a commercialdiver, performance artist, and interdisciplinary researcher bydesigning for critical play, human performance and expressionin extreme environments. Pell currently collaborates with theMonash Immersive Visualisation Platform (MIVP) as an Adj.Associate Professor (Research), in the Faculty of Engineering,Engineering Office of the Dean, and the Faculty of Art, Design& Architecture, Monash University. She is also the Vice-Chairof the International Astronautical Federation Technical Teamfor the Cultural Utilisation of Space, and former Chair of theEuropean Space Agency Topical Team Art & Science, col-laborator of the Exertion Games Lab, and SymbioticA: theart and biotechnology lab. Prestigious Awards include Aus-tralia Council Fellow, TED Fellow, and Gifted Citizen (Hon.Mention). Human expression and connection fuels our evolutionary hu-manity, curiosity and passion. So how far can we go? Pellis designing modes for following the body’s natural edge tothe abyss of space. New works including the parallel de-sign of human-robotic performance protocols undersea andhuman-cinematic robot performance onstage, have inspirednew modes of trans-disciplinary dialogue to understand af-fective visualization applications in performing astronautics.Technical concepts derived through play and performance onEVA (extra vehicular activities or spacewalks), have led tothe development of technical configurations supporting theSpatial Performance Environment Command Transmission Re-alities for Astronauts SPECTRA(2018). Various SPECTRAexperiments on Moon/Mars analogue missions have expandedprotocols, for example the confined/isolated Lunar Stationanalogue mission simulations [Lunares 3 Crew] with transmis-sion of LiDAR imaging and the choreographers’ moves for anartist-astronaut’s interpretation on the analogue Crater. Pellhas demonstrated that interactions withSPECTRAsystemshave a direct impact on the artist-astronaut’s range of spatialawareness, orientation, geographic familiarization, and remoteand in-situ operational training for amplifying performancecapabilities on EVA. The significance of these new approachesis the widening of the definition of both technical and culturalactivities in astronautics through play and performance. Otherresearch from cinematic robotics, and mixed realities includingvirtual reality, LiDAR projects and big data immersive visu-alisations platforms, to an astronaut dance is about designingsystems for improved performance and cultural engagementfor exploring the critical pathways, discourse and cultural prac-tice surrounding space as inspiration for new works of art, andnew ways of working with art and space, during a unique mis-sion simulation. These opportunities also support safe forumsfor reflexive analysis of our human ambitions, and indeed ourassumptions, about a human return to the Moon, and futureextra-terrestrial culture.SPECTRAtools translate visions forarchitecting a new era of spaceflight. Outcomes also signalnew research and impact pathways for the artist, astronaut andavatar in space exploration and discovery.